To display the card details and history, right-click on the name and select Show Details and History. Alternatively, double-click on the name you want to inspect. The next screen will show a preview of the name and address on a label, on an envelope. Below the envelope, will be the extra information, if any, that was entered for that name. The table below this shows a history for that person. 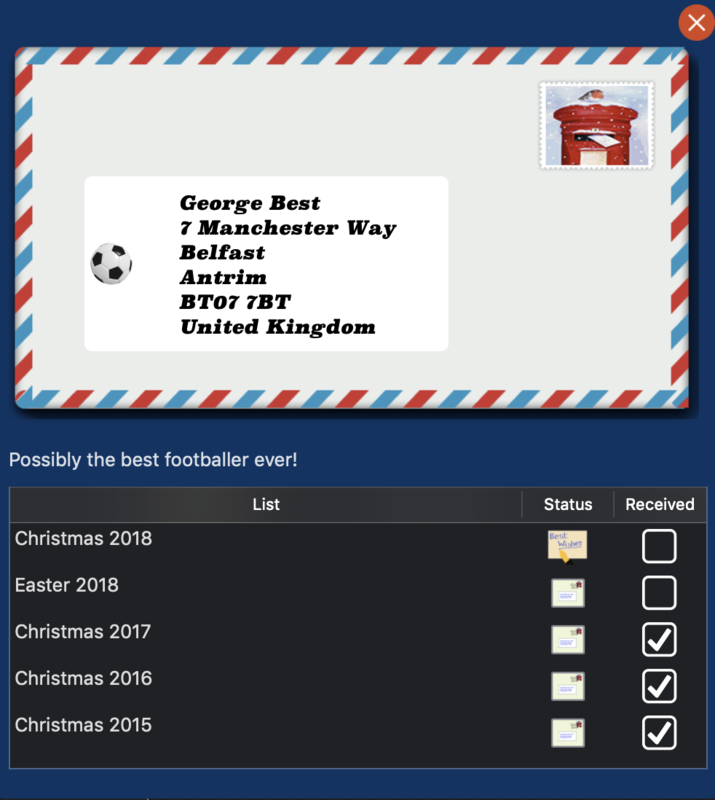 This shows the lists that the person is in, with symbols showing the card status, including whether a card/letter was received from that person.